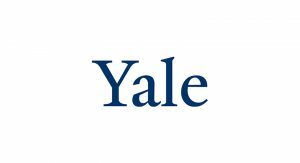 The Yale Corporation is the governing board and policy-making body for Yale University, where the research team working on the following project is based. This grant supports an experiment to probe for new particles and forces that could explain the predominance of matter over antimatter in the universe. Following the Big Bang, an equal number of matter and antimatter particles were formed. When matter and antimatter particles collide, they annihilate each other and convert into energy––yet today, antimatter is scarce and all of the objects that compose our universe are made of matter. To find evidence of subatomic particles that may explain this “matter-antimatter asymmetry,” Yale’s team of scientists is designing and assembling a novel laboratory experiment to look for a theorized electrical charge distribution––an “electric dipole moment” ––in the nucleus of a thallium atom. The experiment is being led by Yale in collaboration with researchers from the University of Massachusetts Amherst and Columbia University.